In ancients times black seed has been referred to a “remedy for everything but death.” It has been used across epochs, with its roots in ancient Egypt. TUNDE OGUNTOLA writes on this humble, but immensely powerful seed. 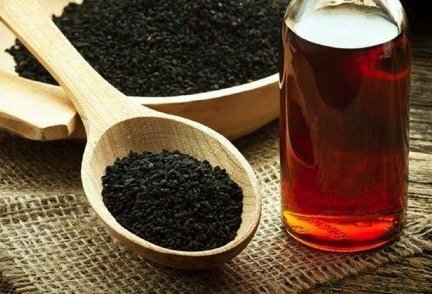 Studies indicate that black seed is a powerful healer. Nigella-sativa goes by many names, including black caraway, black sesame, Roman coriander, and black cumin, to name a few. But no matter what you call it, these seeds are loaded with health benefits that we are only beginning to understand, from eliminating harmful bacteria to regenerating the body’s cells and tissues, here are awesome research-backed health benefits of black cumin, but these benefits of nigella sativa are truly only the tip of the iceberg as research is still ongoing. The health conditions that may be benefited from the use of the herb, including over 20 distinct pharmacological actions it expresses, such as: analgesic (Pain-Killing), anti-Bacterial, anti-inflammatory, anti-ulcer, anti-cholinergic, anti-fungal, ant-hypertensive, antioxidant, antispasmodic, antiviral, bronchodilator, gluconeogenesis inhibitor (anti-diabetic), hepatoprotective (liver protecting), hypotensive, insulin sensitizing, interferon inducer, leukotriene antagonist, renoprotective (kidney protecting), tumor necrosis factor alpha inhibitor. Type 2 diabetes – Researchers found that just two grams daily of black seed could result in reduced fasting blood sugar levels, along with decreased insulin resistance, and increased beta-cell function in the pancreas. Epilepsy – A recent study found black seed to be effective at reducing the frequency of seizures in children who resisted conventional treatment. Black seed indeed has anti-convulsive properties. MRSA – The deadly and antibiotic-resistant bacterial infection known commonly as MRSA responded favorably to treatment with black seed in this study from the University of Health Sciences in Lahore. Protection Against Heart Attack Damage – An extract from black seed has been shown to possess heart-protective qualities, dampening damages associated with heart attacks and boosting overall heart health. Breast Cancer – A few studies have linked a thymoquinone extract from nigella sativa to reduced breast cancer tumor growth and increased apoptosis (cell death) in breast cancer cells. Brain Cancer – A study published in the online journal PLoS One indicates thymoquinone from black seed can induce cell death in glioblastoma cells. Glioblastoma is one of the most aggressive brain tumors of all. Leukemia – As it’s been shown to do with other types of cancer, black seed compound thymoquinone has also been shown to induce apoptosis in leukemia cells. Brain Damage from Lead – A study published in Experimental and Toxicologic Pathology indicates black seed is able to dampen and reverse damage to the brain sparked by lead toxicity. Oral Cancer – Research indicates thymoquinone from nigella sativa is able to induce cell apoptosis in oral cancer cells. However, the safety and efficacy of Nigella sativa have not been fully evaluated in pregnant women. Consequently, expectant mothers should not take Nigella sativa unless otherwise instructed by a medical professional, warns Dr. Michael Tierra. Talk with your doctor about any medication you are currently taking before you begin treatment with Nigella sativa. This supplement is an antioxidant and may protect cells against damage. The protective effect of Nigella sativa may interfere with the action of certain types of cancer therapies, such as radiation therapy or chemotherapy, which destroy cells that grow rapidly. Additionally, concomitant use of Nigella sativa and antihypertensive drugs may cause a sudden drop in your blood pressure levels, MSKCC warns. Low blood pressure, also called hypotension, may result in symptoms of dizziness, headache or fatigue.